Introducing 3M Versaflo Respirator Systems, a new and highly versatile range of respiratory headgear, breathing tubes, and powered and supplied air-purifying sources that offer a comprehensive, modular approach to worker protection. The intuitive design is lightweight for optimum comfort and ease of use, offering respiratory protection and flexibility for changing environments, needs and individual comfort preferences. ABUS Lock is the first manufacturer to launch an environmentally friendly “green” line of safety lockout products called the Ecolution® Series. Products in this line are made of high-quality recycled raw materials and are designed to withstand any environment where corrosion is a problem. ABUS Ecolution® Series is a great solution to meet today’s sustainability needs. Click here for more information from ABUS Lock Co. When your state passes a law, we’re here to offer identification products that help you stay in compliance with the design and message mandated. 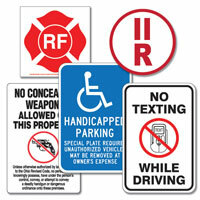 From concealed weapons laws to truss buildings, no smoking and even no texting while driving signs. If it’s mandated, we’ve got it. Whatever your size, we have a solution for you. Applications International Corporation and compliPOINT offer two unparalleled, integrated web-based solutions that have revolutionized both reporting functionality and comprehensive training for the optimal in safety compliance management. 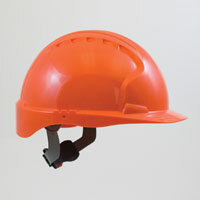 The Loner SMD is a worker safety monitoring device that alerts others of incidents in real-time. True Fall Detection™ technology uses accelerometers and gyroscopes to detect falls with precision. 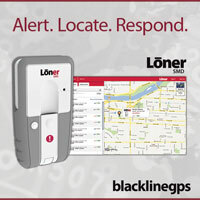 Loner SMD also features an emergency latch and man-down alerting for when a worker becomes motionless. An intrinsically safe version is available. The Guarddog Self-Closing Safety Gate from BlueWater Mfg. Inc. is tough, durable and easy to install. The gate is available in powder-coated, galvanized and stainless steel finishes, as well as in five nominal sizes. 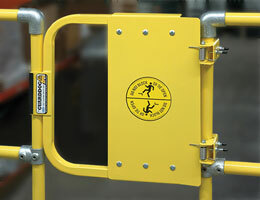 Provide your employees with the best safety gate available with the Guarddog. Click here for more information from BlueWater Manufacturing Inc. The “Career Paths in Safety” brochure offers certification options at basic, technician or technologist, and professional levels. It outlines safety education, experience and job roles. “Career Paths in Safety” includes information on Board of Certified Safety Professionals certifications (including CSP, OHST, CLCS, CHST and STS). Are you still creating lockout procedures in Microsoft Word? Brady’s Visual Lockout Procedure lets you create visually instructive, OSHA-compliant and professional-looking lockout procedures in minutes. Brady’s Visual Lockout Procedure saves money and time by ensuring you have the most effective procedures for a compliant workplace. Download the sample Brady Visual Lockout Procedure now. Enhance your workplace HazMat training with the BullEx GasTrainer™ training system that “detects” simulated gas clouds and leaks. Trainees learn how to respond to a HazMat incident in a completely safe hands-on training environment. Take your training out of the classroom and into the real world with BullEx. 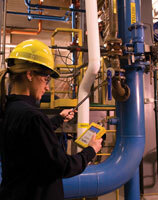 Multi-gas detection just got easier with the GasAlertMicroClip XT. Its multi-gas versatility plus slim and compact design operates with one-button simplicity, making it easy to use in a variety of applications. The IntelliFlash™ feature makes compliance and safety easy to see. With a properly structured safety awareness incentive program, you can change your safety culture; protect against preventable injuries (accidents); decrease days away (lost time); and expect to be rewarded with lower disability costs, more satisfied workers and, ultimately, higher productivity – all without encouraging non-reporting of accidents. Drive a world-class safety program with the Caterpillar Safety Services’ Zero-Incident Performance (ZIP™) Process, a proven system designed to engage all levels of your organization in the development of sustainable safety excellence. Our team of senior safety consultants will deliver onsite assessments and guide your employee-driven journey to zero-incident performance. Earn your degree online with Columbia Southern University. In today’s changing world, keeping your career options safe and vibrant is vital. Let CSU help you with an online degree in OSH. Our programs provide advanced training in accident prevention, safety engineering, emergency management and ergonomics. Apply today at no cost. Click here for more information from Columbia Southern University. You know that a comprehensive electrical safety program is the key to preventing electrical injuries and fatalities in the workplace, but how do you know if your program is effective? 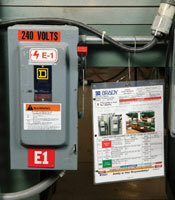 How do you communicate the importance of electrical safety to personnel? 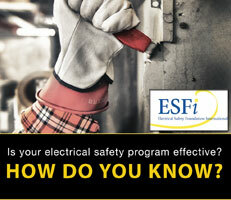 ESFI’s How Do You Know program has the answers. 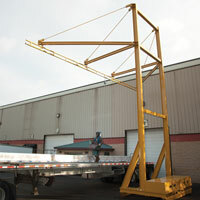 Ergodyne recently launched Arsenal® Synthetic Hoist Buckets for lifting heavy gear and equipment to jobsites in the sky. With a molded top ring and nickel-plated swiveling snap, the new buckets provide a lighter-weight industry option with equally sturdy construction. 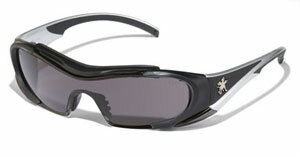 For more information, visit www.ergodyne.com or call (800) 225-8238. EtQ is the leading EHS management software for identifying, mitigating and preventing high-risk incidents through integration, automation and collaboration. EtQ’s system helps maintain quality EHS compliance and regulatory initiatives, such as ISO 14001, ISO 9000, and OHSAS 18001. Key modules include incidents, crisis management, job safety analysis and more. Click here for more information from EtQ Inc. The Serpent® Vented Safety Helmet has an innovative, six-vent CoolSense™ Air Flow System to help minimize heat buildup in hot work environments. A rotating ratchet adjustment easily fits over the nape of the neck for a comfortable, secure fit. The Serpent complies with ANSI Z89.1 for Type I, Class C helmets. Click here for more information from Gateway Safety Inc.
Stay Cool. Stay Protected. GlenGuard® FR fabrics are designed to be the lightest-weight, most comfortable FR fabrics in their class. The fabrics exceed both government and industry safety standards. Plus, its solution is dyed to maintain its color for the life of the uniform. 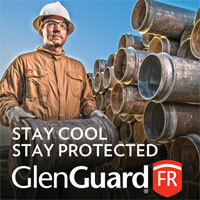 Don’t compromise – specify work wear made of GlenGuard FR for unsurpassed comfort and personal protection. Click here for more information from Glen Raven Inc.
consuming activities in Hazmat services. 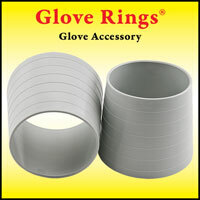 The Glove Rings® accessory helps reduce that time. Made from a strong, flexible plastic that resists cracking, the Glove Rings® accessory helps make a better, more consistent seal between glove and sleeve. Lead them to safety. Honeywell can help. Honeywell Safety Products’ portfolio of leading personal protective equipment solutions helps safety managers build an enduring culture of safety. Discover new ways to lead them to safety. 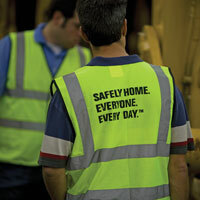 Visit our website today at www.honeywellsafety.com/culture. Howard Leight’s new Sync™ Stereo Earmuff provides proper levels of hearing protection, high-fidelity sound, and the ability to listen to portable audio devices and MP3 players safely at work. For more information on Sync, visit www.howardleight.com/playitsafe. Health experts are predicting 2012 to be the worst year for Lyme disease ever. Because ticks crawl up, Insect Shield® Repellent Socks offer ideal protection. Insect Shield socks are EPA-registered to protect against ticks, mosquitoes, ants, flies, chiggers and midges (no-see-ums). The repellency is built into the socks and lasts through 70 launderings. The socks are sold in packs of two and cost $16.95. ​J.J. Keller & Associates Inc.
OSHA’s revised HazCom standard, now aligned with GHS, is in effect. J. J. Keller HazCom products, backed by a team of experienced regulatory experts, can help you comply. 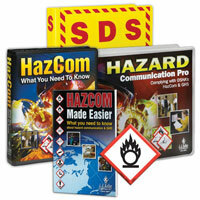 Visit our HazCom online resource page (www.jjkeller.com/54478) for GHS news, the word-for-word final rule, answers to FAQs and a free webcast. Click here for more information from J.J. Keller & Associates Inc. Think Safety. Think LiftPod. 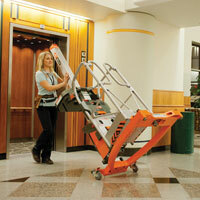 The LiftPod® FS60 features up to 12 feet of lift height and an accessory tray to hold your tools. With its non-marking rear caster wheels, 30-inch base and compact mast, moving around the jobsite is a breeze. 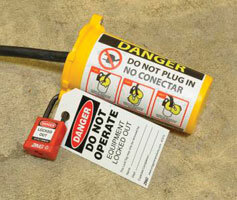 This one-person operation lets you be more productive while meeting OSHA safety standards. Visit www.liftpod.com/FS60-44. 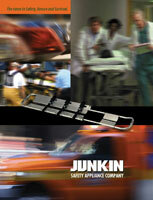 Junkin Safety Appliance Company manufactures a variety of safety and rescue equipment, including basket stretchers, plastic stretchers, aluminum break-apart stretchers, air-rescue stretchers, aluminum and steel pole stretchers with vinyl covers, stretcher kits, stretcher accessories, wooden and polyethylene backboards, evacuation chairs, first aid equipment, and fire blankets. Visit www.junkinsafety.com. Metatarsal injuries are painful and can require a long recovery process. That’s why Justin Original Workboots offers MetGuard, a shield-like overlay offering complete armor-like protection that absorbs impacts so the feet don’t. The JOW MetGuard with new Poron® XRD™ impact-absorbing technology meets or exceeds ASTM F2413 standards for impact protection. Inherently flame-resistant, heat- blocking thermal barrier Kovenex performance fabrics provide flame, heat and tear resistance to domestic and international personal protective brands, including Dragon Fire, Southcombe Brothers and Firedex, among others. Flexible and durable, Kovenex produces TPP levels per basis weight equal to or better than more expensive thermal barriers on the market today. 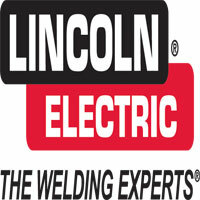 Headquartered in Cleveland, OH, Lincoln Electric is the world leader in the design, development and manufacture of arc-welding products, robotic arc-welding systems, fume-extraction equipment, welding PPE, and plasma- and oxyfuel-cutting equipment. Master Lock’s S2151 Removable Push Button and Rotary Switch Covers provide a visual and locked deterrent and prevent access to a power switch when a worker needs to make equipment adjustments in a temporary shutdown situation. It fits off-center and has standard buttons up to 2 inches in diameter. 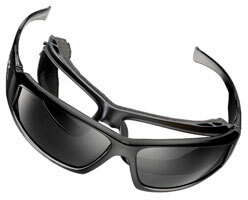 Introducing Hellion protective eyewear: cool glasses that provide the function and feel of goggles. A soft TPR material forms a gasket seal similar to a goggle to reduce wind, dust, debris and small particles. They are available in clear, gray, and indoor/outdoor clear mirror anti-fog lens options and coated with our exclusive Duramass® scratch-resistant hard coating for maximum durability and use in all seasons and weather. Streamline your reporting process with NSC Navigator Incident Management, the newest safety management solution from the National Safety Council and technology partner, ICertainty. NSC Navigator makes it easier to comply with safety regulations, take corrective actions and manage a process of sustainable improvement. Call (800) 672-4692 to order today! The OLFA SK-10 concealed blade safety knife with tape slitter is designed to reduce workplace injuries and product damage. Smartly engineered, the cutter features a unique blade adjustment design that allows for 4 times more cuts per blade versus a fixed single-edge blade for higher blade productivity. 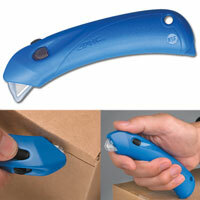 We’ve got safety covered with this long-lasting disposable safety cutter. This innovative cutter features an ambidextrous three-button design and retractable safety guard to prevent slip-off injuries. 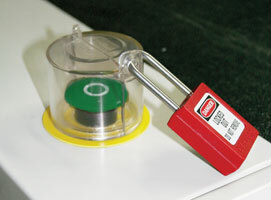 A safety spring-back hood remains in a locked position until one of the release buttons is pushed to start the cut. A safety hood springs back to cover the blade after each cut. The cutter also has a built in tape splitter. Click here for more information from Pacific Handy Cutter Inc. The Class I Div.1-approved Pelican 3715 LED Right Angle Flashlight with downcast LEDs lights smoky paths in extreme situations. It features a light output of 174 lumens for 4.45 hours, a four-level battery life indicator, a tethered battery door, rugged, water-resistant construction and a stainless steel mounting clip with split ring. 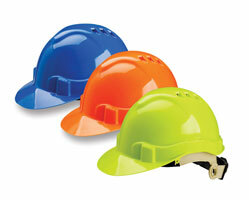 The new JSP Evolution™ 6100 Hard Hat is the toughest type 1 helmet on the market. The Evolution™ 6100 has proven far tougher than ANSI Z89.1 requirements and features a longer back for extra protection and a three-position harness depth setting for a precise fit. Find out more at www.pipusa.com or call (800) 262-5755. 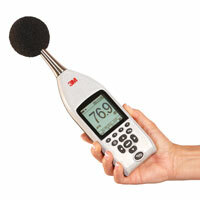 The 3M™ Sound Examiner SE-400 sound-level meter is available in Type/Class 1 and 2 models. It computes the average sound pressure level (LEQ/LAVG) over run time. Parameters include SPL, LMax, LMin, LPk and elapsed time. A complimentary DMS software CD is shipped with the SE-400 and all 3M Quest data logging instruments through June 30, 2012. 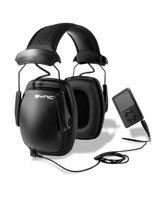 Visit www.3M.com/soundexaminer. Rigid Lifelines™ foundationless Portable Monorail Fall Protection Systems provide all the benefits of rigid track fall protection with a sleek and portable design. Effortless installation using bolt-together components with no welding required provides fast and secure fall protection. Systems can be designed for one or two workers and utilize either single- or dual-track design. Visit www.rigidlifelines.com or call (800) 869-2080. At Scott Safety, every improvement, update or enhancement we engineer is done with a very specific and customer-inspired purpose. The constant evolution of our technology is based on how our customers work in the real world and the needs they identify. We strive to make an impact with our innovations. For more information, visit scottsafety.com. The cut stops here. 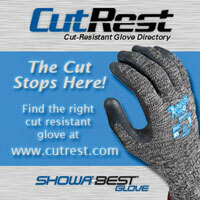 Showa Best Glove has made determining the right cut-resistant glove easier with the introduction of its new online directory, www.cutrest.com. With five search criterion, drill-down options and a side-by-side comparison feature, this highly educational site makes it easy to find, understand and see each glove’s features, cut levels and suitability. (800) 241-0323. 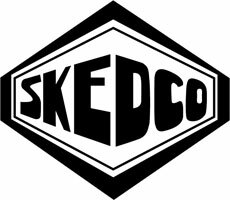 Skedco manufactures and markets state-of-the-art confined space rescue equipment such as Sked Stretcher, Oregon Spine Splint, Half Sked, Hazmat-Sked, Sked-Evac tripod, Rescue Hauler, Micro-Hauler, stretcher flotation, medical bags, bleeding simulators, and harnesses. 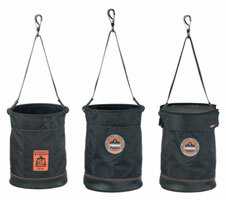 Rope rescue products also are available from Skedco. Please check our catalog or website for more information. Visit www.skedco.com. Start training now for the new GHS standard with Summit. Ensure your workers understand the new global standard for handling hazardous chemicals that goes into effect May 25, 2012, with Summit’s interactive, online training program, “GHS: Chemical Labeling & Classification.” Train the global language of safety. 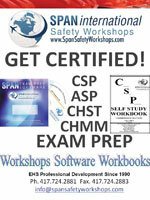 Call (800) 842-0466 or or visit www.safetyontheweb.com. Unistrut’s rooftop fall protection systems include engineered lifeline systems, energy-absorbing anchors and freestanding safety roof railings. All of these systems are engineered and tested to meet or exceed various safety standards such as ANSI, CSA and OSHA. 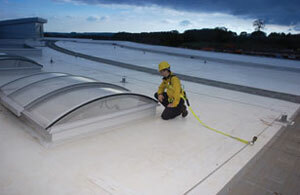 Typical applications include rooftop safety for maintenance, inspections, mechanical unit repairs, skylights, roof hatch and solar system maintenance. The new Uvex Bayonet™ strikes the perfect balance between high-performance protection, comfort and sleek styling that encourages worker acceptance and helps support a culture of safety in the workplace. The Uvex Bayonet features Supra-Dura® advanced anti-scratch coating for lenses that resist scratching up to 5 times longer than other coatings on the market. 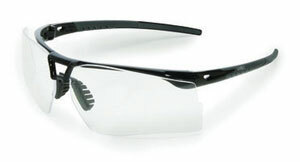 Only Wiley X premium safety eyewear with patented removable Facial Cavity® Seals blocks out anything big or small the workplace can throw at your employees. Wiley X: The styling and comfort of a contemporary outdoor lifestyle sunglass with the total protection and versatility of premium performance safety eyewear. Workrite’s Dickies® FR jeans are becoming a popular choice for safety professionals looking for the look and comfort of everyday jeans. The Dickies FR prewashed jeans are Dickies most popular five-pocket and carpenter styles, made from FR denim. 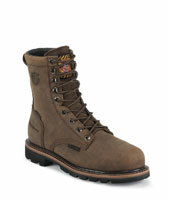 You get the protection of FR and the look of Dickies. Protect employees and the environment with eco-friendly lockout devices. 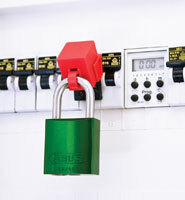 The large plug lockout features a universal fit closure, ply-resistant tabs and accommodates three padlocks. The device is made from heavy-duty recycled plastic and accepts up to a 1-1/4-inch diameter cord and 3-inch Wx5-1/2”L plugs. Made in the USA.